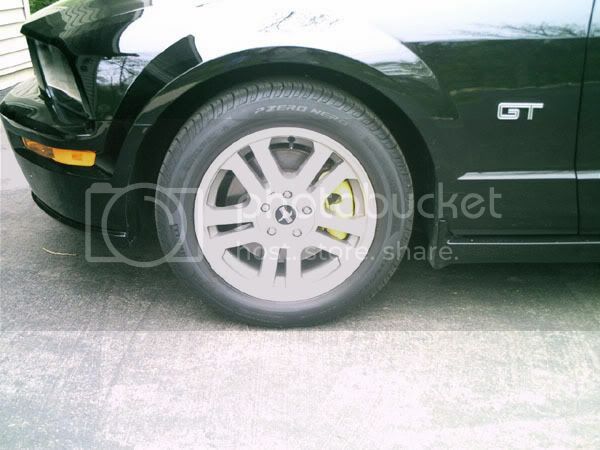 My GT is black and I'm looking to go yellow on the calipers. Ireally can't remember where the heck I got the pony decals, but let me tell you....they have not peeled yet, nor warped. Although I don't have a high mileage overall....9 months/3,000 miles. nice job here is a pic of my blue ones. 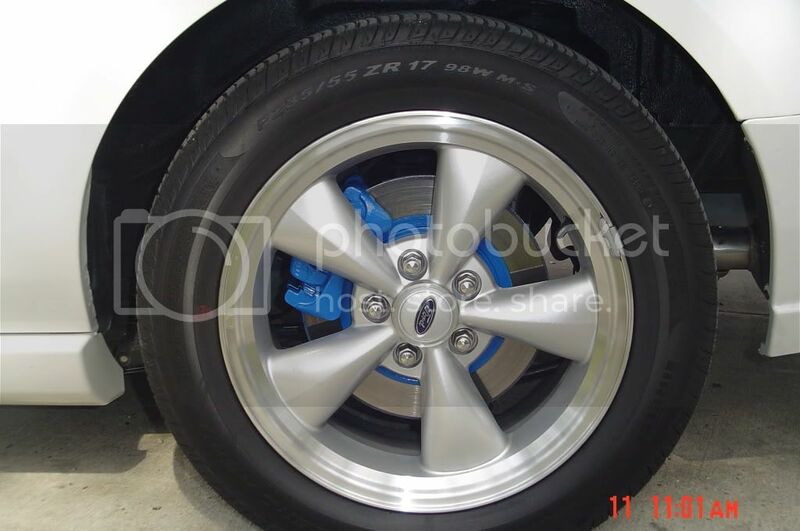 let's see some torch redwith painted calipers. Thanks for the link. Now I just have to decide what color I want. Didn't think I'd have to make a decision among so many options. And here is the best pic I have of my black car with yellow calipers. I'm sure I have better somewhere but can't find it right now. I knew I'd find something. It's like wearing knee high tube socks....with stripes!